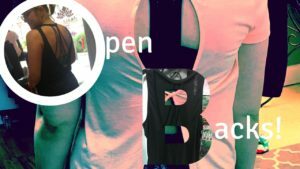 Do you need some new clothes to motivate you to get out and exercise or even maybe try something new, (like yoga)? OhmFit Activewear has you covered, literally! Located in Uptown Normal, OhmFit offers a variety of brands, including Lole, Lorna Jane, Soybu, Jofit Golf, Tennis and Athleisure, Nux and more! 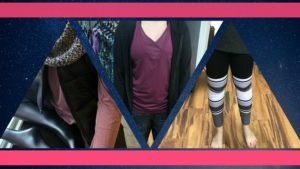 Heather Young, who owns this amazing boutique curates tons of athleisure options ranging anywhere from leggings to sweaters and accessories! 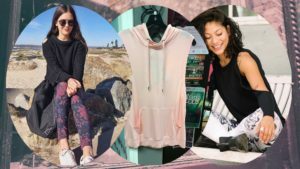 I went to visit Heather and OhmFit at their location and here are some ways Heather recommends keeping your athletic wear trendy this spring! 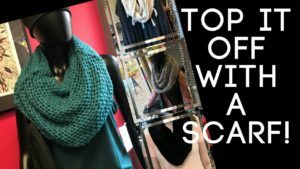 Scarves are great transition pieces for fall and spring! They help you stay cozy during class, too! You can never go wrong with a cute open-back shirt, especially in spring! 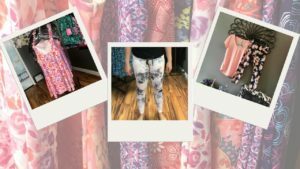 My personal favorite – These are the cutest and comfiest leggings EVER. I didn’t know I needed them until I tried them on. Trendy dimensional pieces create a modern and sleek look for anyone running errands after a workout! Even though it is spring, there is still a chill in the air, sweaters and layers are still a necessity! In addition, pastels are perfect for spring! This blush hooded, sleeveless tee is the best addition to your altheisure! Add a black long sleeve T-shirt on cooler days and a cute strappy bralette over summer months! Thank you so much to Heather for opening her store and spending some time with me! Cant wait to try some of my new pieces! OhmFit Activewear is located at 102 W North Street in uptown Normal.